MANSFIELD — Last week, at the annual Fun Center Chordsmen annual officer installation banquet, Frank DeWitt was honored with induction to the Chordsmen Hall of Fame. 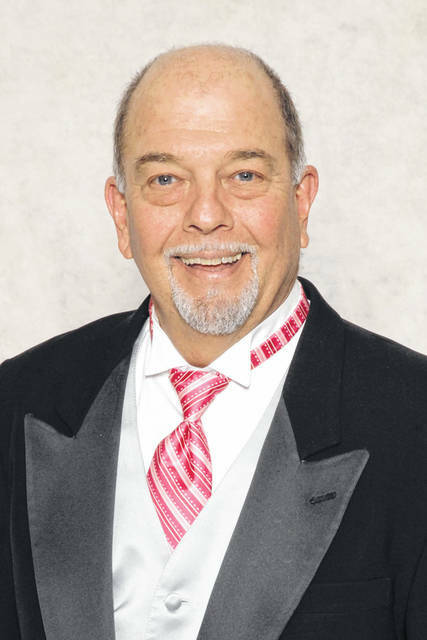 DeWitt has been a member of the Fun Center Chordsmen and the Barbershop Harmony Society for 41 years. Since 1978 he has served as President of the Chapter, a section leader and is the 1998 Barbershopper of the Year. He has sung in numerous quartets over the years singing both tenor and baritone. He currently is a member of the quartet Chordially Yours. For many years, DeWitt has been the chapter’s graphics designer and created the logo and the front cover of the annual show programs. Any graphic that is currently used by the Fun Center Chordsmen has been designed by Frank. Admission to the Chordsmen Hall of Fame (CHOF) is limited to members of the chapter who have, over several years, contributed to the chapter above and beyond normal membership activity or office holder. They must be a former Barbershopper of the Year (BOTY) Award recipient for five years. This is an honor like no other and is a permanent award to be cherished by the individual and honored by the chapter members at large.